Real-time accounting and financial management software designed for manufacturers and distributors. 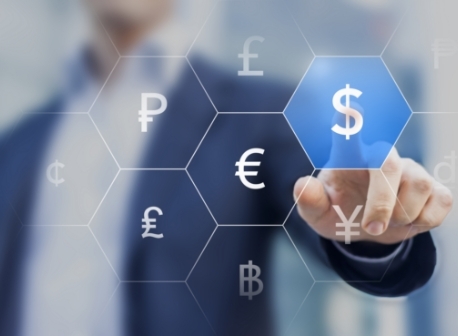 Rootstock Financials provide even the most sophisticated multinational companies with the critical, real-time information they need to manage their rapidly changing businesses. Seamless, automated integration with operations lets you quickly see important details. Powerful and easy-to-use financial reporting. Keep your finger on the pulse of your business with Rootstock’s flexible and highly automated General Ledger. Real-time dashboards and financial reporting let you monitor profitability, cash and the overall health of your business from anywhere at any time. Flexible, easy-to-maintain chart of accounts. Budget against accounts, projects, divisions and dimensions. 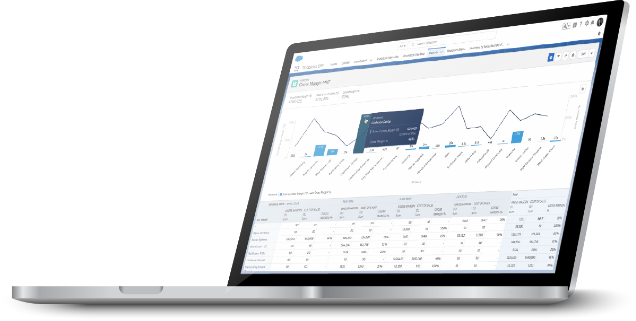 Rootstock Accounts Receivable lets you efficiently manage payments and, when combined with Salesforce CRM, gives you 360° visibility of all customer interactions across CRM, operations and finance in a single, user interface. Accept checks, cash, credit cards and automated bank payments. Real-time visibility of cash flow and customer aging. Automated multi-currency gains and losses. 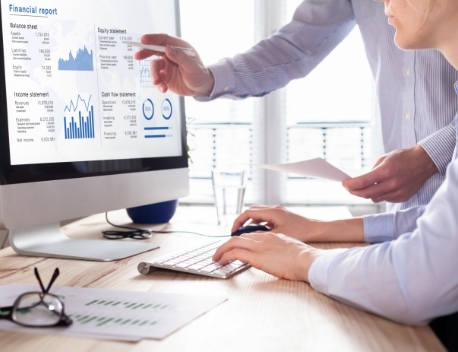 Rootstock’s accounting and financial management software drills down to operations to see sales orders, shipments, invoices, service calls and subscription billing. – Seth Lippincott, Analyst, Nucleus Research, Inc. Efficiently manage supplier relationships and maintain complete control of cash flow with Rootstock Accounts Payable. Follow links back to originating transactions in operational systems for complete visibility and audit trail. Drill down to see requisitions, purchase orders, inventory, receipts, and credit/debit memos from operational systems. Flexible payments include scheduled, one-off and electronic. Multi-currency capability includes automated gains and losses. Flexible aging reporting lets you look ahead or behind with user-defined aging buckets, including as-of reporting. Not ready to change your financials? No problem. 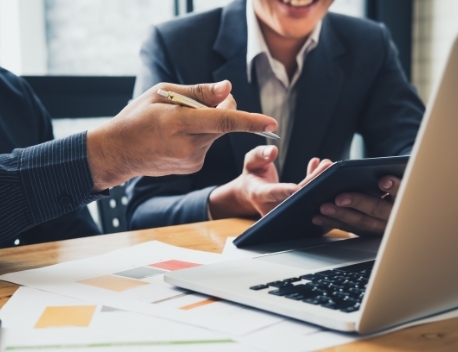 Rootstock Cloud ERP software was designed to work with other financial software, so you can choose Rootstock Financials or your favorite financial package. 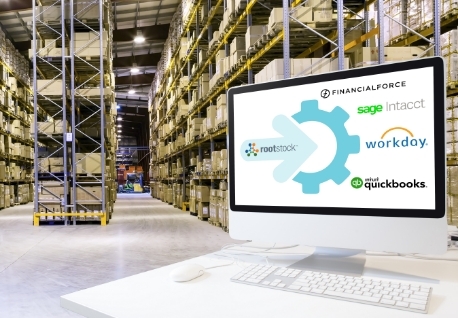 Seamless integrations with systems such as Workday, FinancialForce, Intacct and Quickbooks. Migrate financials to the cloud in stages after operations. Ideal for two-tier ERP – use Rootstock for subsidiaries to feed your corporate ERP.